Make all the breakfast classics with the BLACK+DECKER 3-in-1 Morning Meal Station! 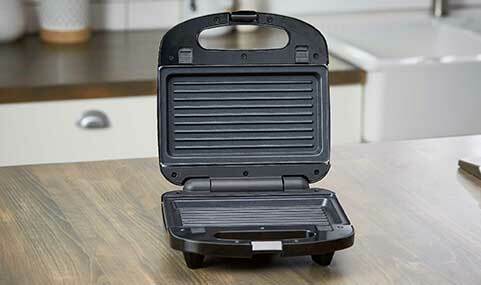 The compact design includes interchangeable cooking plates to function as a Waffle Maker, Grill, or Sandwich Maker. All the plates are nonstick and dishwasher-safe for easy cleanup, and include grease run-off channels for fast grease removal. The temperature indicator lets you know when the plates are preheated, and the cool-touch handles make it easy to open and close the appliance during cooking. Nonstick + Dishwasher-Safe Plates for Easy Cleanup! You’ll know when the plates are hot and ready to cook with the temperature indicator. The handles stay cool during cooking so it’s easy to move food and check on cooking progress. This appliance looks great in the kitchen, featuring attractive stainless steel accents. Breakfast is covered! 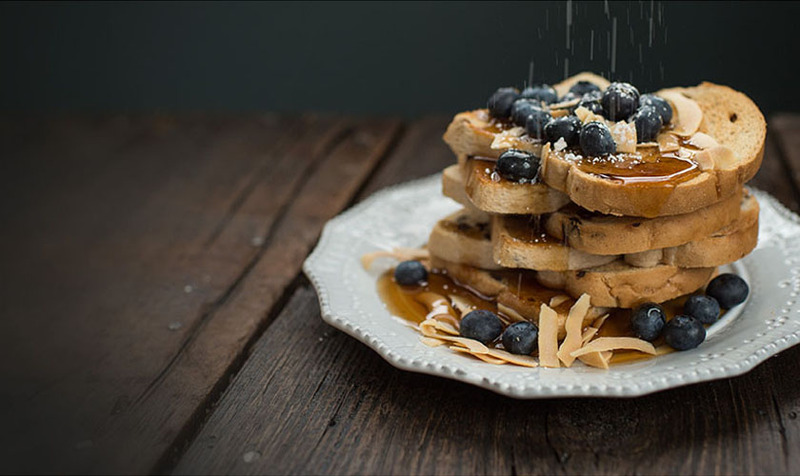 This versatile cooking appliance can be used to make waffles, breakfast sandwiches, eggs, hash browns, bacon, French toast, crepes, and more! 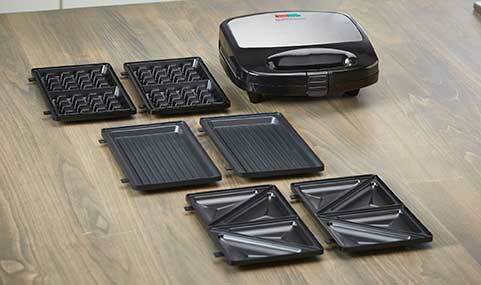 Change from Waffle Maker to Grill to Sandwich Maker. It’s easy with the removable and reversible plates! The cooking surface allows grease to run off for easy collection and disposal. 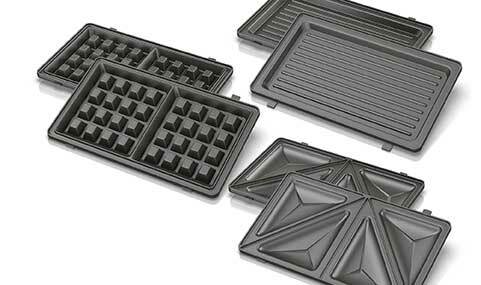 The cooking plates have a nonstick coating for easy cleanup. Plus, they’re dishwasher-safe! 3-in-1 Morning Meal Station™ is rated 4.7 out of 5 by 31. Rated 3 out of 5 by Renee S from Convenient but.... I have had this product for a while ane my family loves using it. Unfortunately, it is not as easy to clean as they say. The non-stick surface is not so non-stick. Even with soaking, we can't get the cooking residue off the plates. Rated 5 out of 5 by jzhang678 from A Must-Have Appliance! I purchased the 3-in-1 Morning Meal Station online recently and I an loving the features and capabilities of this portable machine! I love the idea of interchangeable plate so I can basically make breakfast and lunch whenever and wherever I want! This is excellent for people on the go. I can make waffles and flatbreads in just minutes. The design is sleek and modern and it is very easy to clean and use. I would highly recommend this product to others! Rated 5 out of 5 by TriciasList from Love This! I absolutely love my new meal station. I can make hot pocket like sandwiches for lunch and also make some pretty great breakfast sandwiches. The clean up is super easy and quick,too. I would highly recommend this one for people who dont like to cook a lot or have a small cooking space. Rated 5 out of 5 by Cass from Simply amazing. I am so glad I have this. I brought it to work and use it daily!! Fast, efficient and user friendly. Rated 5 out of 5 by colwellj1981 from Great gadget! I received this product about a month ago, let me tell you, it is fabulous. It makes perfect waffles. The perfect consistency. My family loves it. I love the face that I can easily make grilled sandwiches. I was skeptical about how well it would clean up but its so easy. Pop the plates out and toss them in the dishwasher and you are done! Rated 4 out of 5 by Diesel82 from Could do without Panini I really enjoyed this Morning Station however I could do without the Panini plates. This would be 5 stars had it had a flat non stick griddle instead. 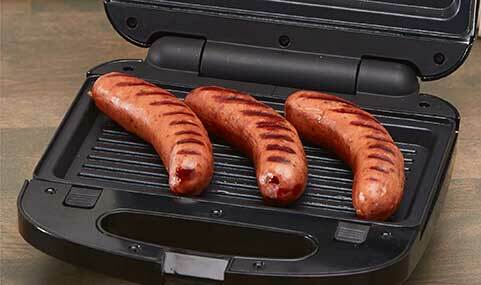 The raised ridges were fantastic for sausage and hotdogs. and the wafffle plates were WAY easier to clean than the huge waffle maker I have. Rated 5 out of 5 by jessgertken from Easy To Use I really like this product. It was very easy to use and the clean was also a lot easier than I expected. I love being able to switch out the plates. I would definitely recommend this! Rated 4 out of 5 by lcmac22 from Easy, compact and multi-use The Black and Decker 3 in 1 morning meal station is a great addition to any kitchen, especially ones that have limited counter space. It makes it easy and conveneint to whip waffles, fry bacon or other meat or make a variety of sandwiches. The plates are very easy to switch which makes using all the options hassle free.